Quick Question About International Wing Chun Day? This Saturday, March 17 is International Wing Chun Day. It's been celebrated for the last 5 years, at least. It's been slowly growing in popularity over the years among Wing Chun practitioners, but not fully practiced. 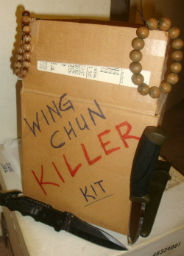 So, do you celebrate International Wing Chun Day? And last question, what will you do this year to celebrate? I ask because I'm curious to see how many people actually celebrate or even know that it exists. Is this something that is growing in popularity or shrinking? I'll share any interesting feedback I get.